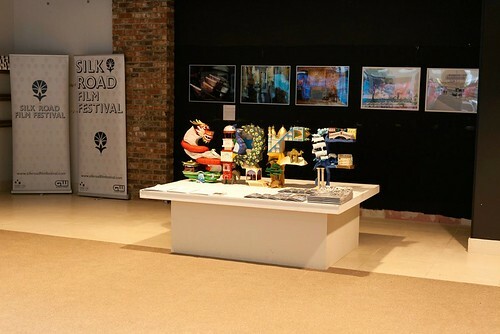 The annual Silk Road Film Festival took place in Dublin, Ireland last month. 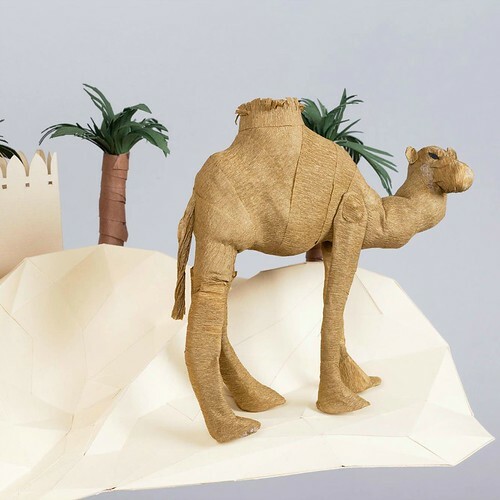 Highlights included dimensional paper sculptures created by illustrator, designer, and paper artist Julianna Szabo and, of course, screenings of films from areas of the world that were originally traversed by Silk Road trade routes. 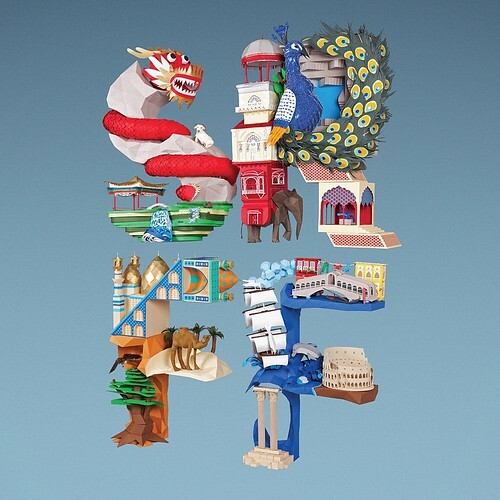 The three dimensional letters - S, R, F, and F - represented the initials of each festival title word. They served as visual identities of the landmarks, landscapes, and fauna that make up the countries and areas crossed by ancient trade routes - China, India, the Arabic world and Europe. Colorful and dramatic, the display welcomed visitors to the cultural festival. Julianna (@juliannaszabo) and I follow one another on Instagram which is where the sculptures caught my eye. 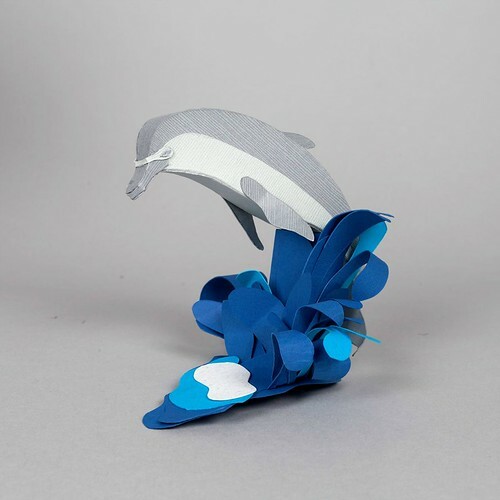 While earning a Visual Communication degree (she also has one in IT), Julianna experimented with a variety of art mediums, but found she especially likes working with paper and often brings her sculptures to life via stop motion animation. If fact, you can see one she created for the Silk Road Film Festival on Vimeo. 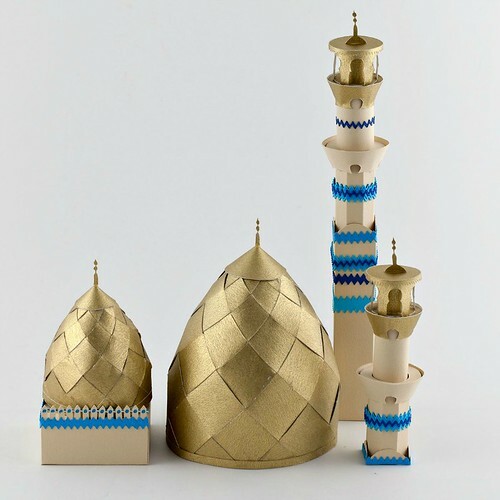 I wrote to ask about this project and her work as a paper artist. What did you enjoy most about the Silk Road project and how did you go about researching which items to include? I really liked the idea of the film festival which brings the culture of the countries along the ancient silk road closer to Europe. I was free to develop my own ideas, so I came up with the idea to connect the ancient silk road with the initials of the name of the festival. The research was very enjoyable since I had a chance to discover the rich cultures and traditions of the different regions. First, I was looking for elements from a culture which are well-known so people can immediately recognise the country, then I also wanted to add lesser known elements to the mix, which helped in shaping the letters. It was like building a 3D puzzle in my head until I was satisfied with the result. I learned a lot about these regions from their art, culture and traditions through this project. Your work is quite detailed. 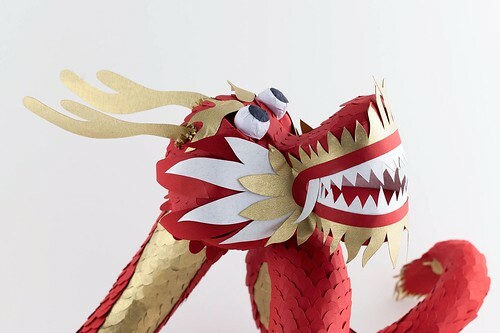 Do you enjoy that aspect of paper sculpture? I love the idea generation part, so I usually have an image in my mind after research, which I draw first on paper. Then the most enjoyable part is to shape the elements out of paper and make the pieces fall into place. I love adding small details to my work so the viewer can get the main idea from a distance, but getting closer they see the little details that make the message more memorable. 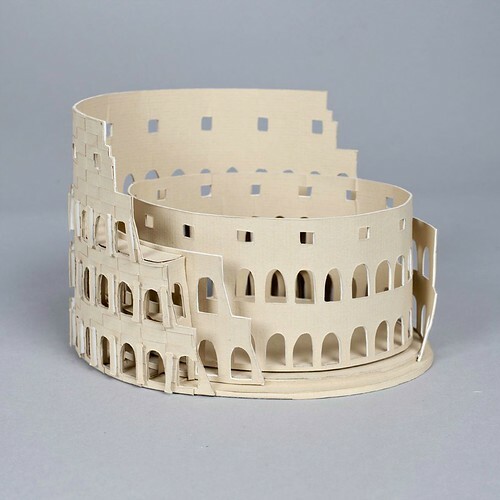 Were you doing paper sculpture prior to university or did you become interested via a school project? I got a degree in IT in Hungary so I wasn't involved in the art/design world at first. I became a web designer and coded websites for a while, but I wanted to learn more about the design aspect. After moving to Ireland I got into the National College of Art and Design to study Visual Communication. During my studies I was introduced to a number of different styles and fell in love with paper. Gradually I started to use paper in all my projects. 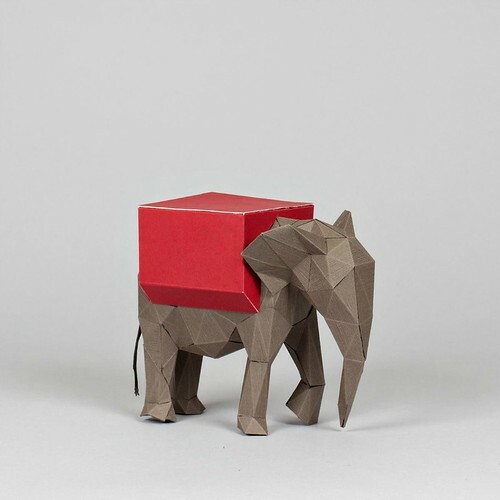 I tend to think bringing an object to life via paper gives it that special wow factor. Was that the reaction of people who saw your work at the festival? 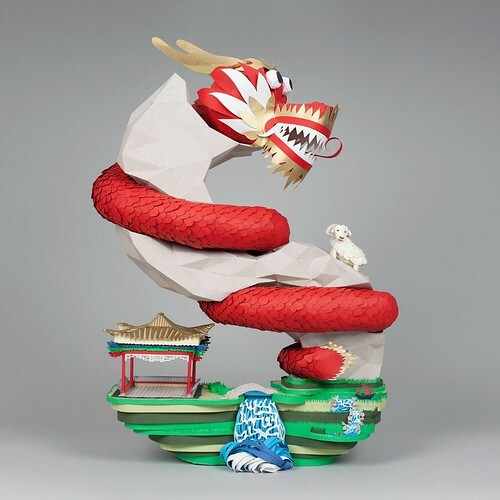 Paper is familiar to everyone, so they can appreciate the work involved in creating these pieces when they see the real paper sculptures. You could see the surprise on people's faces when they saw the letters they knew from the posters. There were people at the festival from the countries the letters depict and it was really great to see them recognise elements from their own countries. 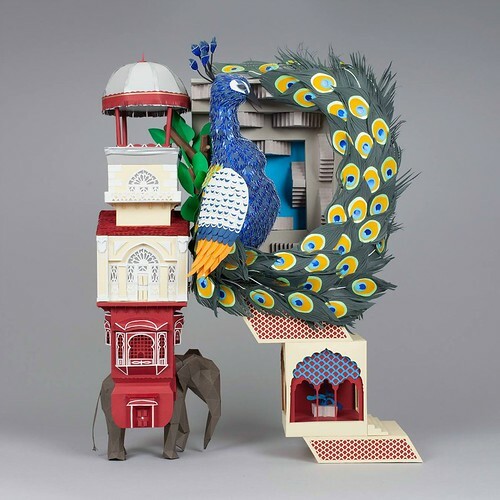 Love the peacock and camel. Loved them all could not decide! Oh my! Julianna's work is just beautiful. My favourite? The camel I think.